ConnectIt-Workflow QuoteWerks Revision Updates utility allows the QuoteWerks user to configure automatic modification of ‘any’ Document Header field with a value from another Document Header field or specific value when a Document is revised. 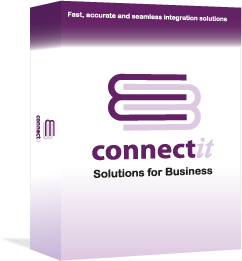 The ConnectIt-Workflow Revision Updates utility is highly configurable, allowing the individual QuoteWerks user to specify their own set of fields and settings update Documents. Helps minimise the need for manual intervention to clear or update field values when a Document is Revised. Eliminates the risk for human error when wanting to create a revision where fields have been used to record specific history for a Document. Allows different update values to be set for the old and new document, plus different values depending on whether the Document is a QUOTE, ORDER or INVOICE Type. Allows configuration of which Document Header field values to update on an individual user basis. Allows configuration of which Header field values to update based on the Document Type.